Too Much Insurance, Not Enough Cash? Our News column this month includes two pieces on the impact of insurance (or lack thereof) on child mortality. Children without insurance are 60% more likely to die from a serious illness than insured children. Uninsured children who have trauma injuries are three times more likely to die than insured children with trauma injuries. Stop. Read it again. Children without insurance are 60% more likely to die than children with insurance. Some number of insured kids check into the hospital and five die. The same number of uninsured kids get into a hospital and eight die. Three children died because they were not insured. Some number of insured kids get injured and five die. The same number of uninsured kids get injured and odds are that 15 will die. Ten children will die because they don’t have insurance. In this case, the study took into account those covered by public insurance; they are still more likely to die of trauma than those who are commercially insured. How is universal coverage a debatable issue? I’m not talking about the HOW – employer mandate, individual mandate, government option, penalties, and subsidies…. How can there be a debate about universal coverage? Who, specifically, is OK with three more children dying or 10 more dying? I’d like to understand them. No, I probably don’t want to understand them. I know this is a simplistic argument, but it is the essential argument. If we are not sanguine about this disparity then there isn’t a question about whether we solve it, only how. Yes, there are public programs for children – an easy answer is to make sure they get enrolled. But if these are the statistics for children, what are the statistics for adults? Are we OK if three adults die because they are uninsured? Would we be OK if that adult were our wife, husband, mother, or father? Let’s look to the future. What kinds of decisions are on our horizon if we don’t deal with this now? Recent medical studies are questioning the necessity for mammograms for women between 40 and 49. It seems that it takes 1,900 women doing annual mammograms between age 40 and 49 to find one with breast cancer whose life is saved by the diagnosis. Over age 50, it only takes 1,300 women to find that life saving picture. This becomes cause for suggesting that women between 40 and 49 don’t really need mammograms. Why not have them anyway? Because of the “false positives,” some numbers of those 1,900 women are finding something on their mammogram that sends them to have a biopsy or an ultrasound and there is nothing there. Somehow, the medical community has decided that those false positives are not worth the life saved. Whereas, we are willing to send 1,300 women through the same ordeal to save the life their tests will find – false positives included. These are all medical studies; in no article or discussion, so far, have I heard the words “covered benefit.” Old cynical me is hearing it clear as a bell in every discussion. Why is the discussion even taking place if the essential issue isn’t cost? Ask ANY 40-year old woman the question: If we give you a mammogram there is one chance in 1,900 that we will find something and save your life; there is a greater chance that we will think we find something and send you for a useless biopsy for no reason. What would you like to do? The problem is that, if the medical theory becomes the justification for not covering mammograms for women over 40, that choice changes radically. Those women who can afford to pay out-of-pocket have a choice. The others don’t. Look for new stats on the impact of insurance on women between 40 and 49. The point really is whether we want to live in a society where money determines whether someone lives or dies. And before we answer the question we should all assume that someone we love, or at least really care about, doesn’t have money or insurance. Picture our daughter’s best friend at school, or our father’s chess partner. Picture the plumber we have come to know over the years. Picture our next-door neighbor who has been out of a job; picture his family. If they died because they didn’t have insurance, or didn’t have money, is that OK? As this is being written, the argument in Congress is not about working through provisions of the House and Senate health care bills. The argument is whether the Senate bill will even come to a vote so the process of getting to compromise can start. We know our representatives don’t have to worry about their own health insurance. Too bad they don’t know any of these uninsured kids. The healthcare crisis affects every business today, especially -employers with two to 50 employees. One solution is for consumers to accept responsibility for their health and make better choices. But, retraining consumer behavior cannot be achieved overnight, at least not in time to make a substantial impact on the current healthcare crisis. We must also rethink our benefit plans and the role that employers play in the delivery. One of the most common solutions for a small employer is to try to lower costs by downgrading benefits. This is an unfortunate circumstance because everyone ends up paying more and those who need the plan the most, end up getting less. As an example, let’s look at some cost-saving alternatives for a 40-life group that enrolled with us in 2000. When this group enrolled, it had a traditional plan with $0 deductible, $20 office visit co-pay, and 80% coinsurance. The medical premium was $15,364 per month. We compared the very same group with identical census information for an October 1, 2009 effective date. What if we decreased the benefits using the type of plan that many employers downgrade to including a $500 deductible, $40 office visit co-pay and 60% coinsurance? The employer’s medical premium would increase to $28,491 per month with lower benefits from the $15,364 they had in 2000. Benefits would drop dramatically while the cost would increase just as dramatically. If brokers present no other alternative, this is a situation employers are accepting. • HSA premiums have been increasing by as much as 40% or more in some instances. • Employers are reducing funding or are unwilling to continue funding HSAs. • Healthy employees are stockpiling funds in the HSA account while their employer may be fighting to keep the business running. • Unhealthy employees may not have any HSA funds left in their account when they need healthcare services. • Providers are not getting paid. • Many members don’t know how the HSA works and do not recognize its value as a new way of financing healthcare. I could write a whole article just on the bullet points listed above, but I would like to point out the two main flaws with HSA plans as they have been marketed. An employer that is funding the HSA may not be lowering costs on the health plan after all. If the employer is not funding the HSA, the employee who uses the plan is left with only catastrophic coverage because one cannot depend on the employees to fund the account. This is why providers are not getting paid. Another solution is the health reimbursement arrangement (HRA) or medical expense reimbursement plan (MERP). Medical expense reimbursement plans are tax deductible for the employer and unused funds stay with the employer. The employer has more flexibility in plan design and more control over how the plan performs. The biggest advantage for employees is that the plan’s reimbursement payments are not considered taxable income and plan designs usually improve benefits. The chart on this page compares one employer’s options as mentioned. The first bar represents what many in our industry consider to be today’s traditional plan. The second bar represents an HSA, which the employer funds at different levels. The third bar represents the HRA/MERP plan. In the traditional plan, represented by the first bar, the employer’s options are limited; there is no plan design flexibility and costs are set. The HSA, represented in the second bar, allows a little more flexibility. The employer has no control over the carrier premium, but can control the amount of funding it provides. An employer that only funds 50% will see some cost savings. The HRA/MERP plan, represented by the third bar, is where the employer’s cost are reduced most significantly. The carrier premium is a little less. (I have added in full service administration fees for third party administration and outlined the expected claims.) It is important to note that the expected claims are based on the statistics that 5% of the members will maximize the carrier deductible, 20% will utilize $800, and 30% will use $400 in healthcare expenses annually. Every year, clients come within 20% of the expected savings projections based on these figures. But, let’s say we’ve missed the projections by a mile. Even if we doubled the projections for claims utilization, we would still be saving this employer more than $20,000 in annual healthcare costs. The only way the employer would end up spending more, while enrolled in an HRA/MERP in any given year, is if every deductible risk unit (including the member and dependent) maximized the carrier deductible in one year. If this happened, the employer would have larger business problems to face than the cost of their health plan. There are many different administrators and models in the HRA/MERP arena. A more recent model is a simple reimbursement for lower administration fees. What a great concept to lower the employer’s cost even more. However, what many don’t realize is that the employer’s up-front savings, through simple reimbursement plans, are eaten up and exceeded in the back end due to limited plan capabilities. As a simple reimbursement administrator, the main goal is to set up a plan with very little customization (for example, no co-pays, coinsurance or Rx benefits) and send payment back to the member for each claim incurred. If there is a prescription claim, the member must pay in full up front and wait for reimbursement. This takes us back to the expectations we have placed on our consumers, also known as “members.” Based on today’s statistics, employers fear that their employee member is not going to pay the provider. In fact, most employers expect their employees to cash the check and use the money for gas or rent. An employer that is not able to build cost sharing into the plan, through employee co-pays, coinsurance, and individual deductibles, will spend more than is necessary. These are just a couple of the issues to consider before presenting a simple reimbursement plan. Overall, the financial impact is that the employer has a higher plan cost, which will continue to cost more until the employer requests more flexibility in plan design. • HRA premiums are beginning to stabilize, which is reflected in lower premium increases. • Employers are reducing their overall plan costs by as much as 40% with HRA plans. • Healthy employees are seeing their plan contributions reduced. • Unhealthy employees are seeing benefits improve. • Providers are getting paid. • Through education, employers, employees, and agents are growing comfortable with the benefits and results of the plan. Let’s take it a step further. What if you could take the HRA and implement an integrated wellness program that would benefit employees for changing their behavior? You could easily identify areas for improvement that would lower healthcare costs significantly and designate rewards in the form of benefits through annual health assessments. For instance, an overweight employee would have to lose 10% of their body weight in order to gain an additional 10% in coinsurance. Smoking cessation could take an employee from 60% to 70% coverage. Reaching a healthy cholesterol level could reward 5% more in coinsurance. You could take this all the way to a 100% benefit level. By identifying the desired employee effort and placing a benefit reward, you put the responsibility and accountability back in the hands of those who need it the most. The kicker is that the employer rarely pays claims out on behalf of employees who benefit from 100% coverage because they are the ones who have made healthy lifestyle changes. As lifestyles change, benefits increase; as benefits increase, costs decrease. You can clearly see how this integrated wellness plan can reverse the healthcare crisis we face today. Several major corporations have instituted wellness programs with positive results. Coca-Cola’s physical fitness program recouped $500 per year per employee even though only 60% of their staff was enrolled. Coors Brewing Company’s worksite wellness plan saved $5.50 in healthcare costs for every $1 it spent on physical fitness, with member absenteeism dropping by 18%. Large employers give proof that it is the right direction, but it also applies to small employers with fewer than 50 employees. Agents need to put serious consideration into how wellness can be incorporated into the small group market. These kinds of programs could create the perfect partnership among the employer, carrier, agent, and third party administrator (TPA). A wise insurance carrier could limit an employer’s funding to 50% and help the employer implement a wellness program, with measured results, which would increase co-insurance levels and lower co-pays for employees thus resulting in healthier lifestyles and improved results overall. • Making health insurance premiums tax deductible for anyone who pays it. • Making all plans guarantee issue to one life with reasonable pre-ex period (two years for individuals and families). • Passing tort reform: The loser pays or fixed fee for attorneys. • Allowing carriers to sell across state lines. • Having no new benefit mandates for five years. • Allowing HSAs, HRAs, FSAs, and MERPs to be permissible and available on all plans. • Requiring all providers and insurers to publish outcome statistics and experience data. • Providing universal enrollment forms for employer/employees, individuals/families. • Setting health plan commissions at 7%, which does not increase as premium increases. In conclusion, lifestyle habits have been ingrained in consumers for more than a quarter of a century. Retraining consumers to take responsibility for negotiating their way through the access and financing of their healthcare in a short period of time is unreasonable. Expecting consumers to suddenly start exercising, stop smoking, and eliminate frivolous malpractice lawsuits is unreasonable. What is reasonable is to identify the efforts that are needed and the parties involved in order to create the solution. This will set into motion a way of re-educating employees on how to evaluate their own healthcare needs, ultimately helping to further control the cost of healthcare. Lower costs, improved benefits, re-education, and accountability are powerful reasons to work with our employers to implement new concepts into a stagnant market plagued with increasing rates, decreasing benefits, and uninformed consumers. Mark Reynolds is CEO and president of California based BEN-E-LECT, a third party administrator (TPA) and innovator of Employer Driven Health Plans that has been providing solutions to brokers since 1996. A registered health underwriter (RHU), he has played an active leadership role in the industry for years, serving as a founding member of the Inland Empire Association of Health Underwriters and past president of the Healthcare Administrators Association (HCAA). For more information, visit www.benelect.com or call 888-886-7973. Employers are using medical tourism to help reduce plan sponsor cost without increasing employees’ out-of- pocket expenses or restricting access to quality providers. With medical tourism, patients travel outside the U.S. to receive quality medical care at a fraction of the cost. With the cost of healthcare higher in the U.S. than in any other nation in the world, it’s the right time to embrace innovative, cost saving alternatives like medical tourism. Year after year, employers in the United States face double-digit rate increases in health insurance premiums. Since 2000, the majority of employers have seen costs increase 100% or more in order to offer their employees a comprehensive medical plan. Their increases are not linked to new coverage or benefits, just renewals. Due to today’s economic realities most employers are being forced to pass along a greater portion of these costs to employees, which places a great financial strain on many employees and their families. Employees now pay more out-of-pocket expenses to use their health plan with higher co-pays, deductibles, or coinsurance responsibility. They are also paying more out of each paycheck to participate in the medical plan. However, employers still continue to pay for the majority of the cost of the plan and face medical benefit costs that far outpace the Consumer Price Index. Employers and plan sponsors are continually looking to their benefit vendors for ways to lower their costs while offering benefits their employees will value. Benefit advisors can use a host of traditional strategies to help address costs for their clients, such as higher co-pays, deductibles, or co-insurance and concentric or limited network access. But, even after implementing these strategies, the employer is still spending more for the benefit plan than in previous years. Some strategies that provide immediate cost relief can mean more out-of-pocket cost to the employer or even give the employee less choice of medical providers. Other strategies, such as disease management and wellness programs, can have a positive effect on improving employee health and lowering healthcare cost over the long term, but they often require the employer to make an upfront investment to get a longer term reduction to their healthcare costs. With the difficult state of the economy, how many employers are eager to invest more money upfront with the hopes of receiving a return-on-investment in their medical benefit plan? With consumer-directed plans, there has been a movement toward giving consumers a greater financial stake in the cost of care. Employers can achieve lower claim costs on a medical plan, provide additional choice of providers, and reward consumerism. The key word is “choice.” Plan sponsors now offer a choice of domestic network providers. Networks give plan sponsors discounts of 20% to 40% off of providers’ retail prices. The benefit plan provides incentives to use lower cost participating network medical providers. The precedent is there. We have all seen 80/50 coinsurance plans or plans with a $500 deductible in-network and $1,500 deductible out of network. A medical tourism option can give employees an additional choice of providers while saving the employer 40% to 80% over domestic networks. If the choice were 100% at the employee’s discretion, the employee would have an additional financial gain for choosing an even more cost effective medical care option. The additional savings on a surgical procedure can range from $30,000 to $75,000. The savings allow the employer to provide a financially rewarding benefit and still see significant savings. Of course, employees will only travel abroad if the medical care is comparable or better than care in the U.S. The global economy has grown and competition to provide the best possible healthcare services has also grown. A number of high quality hospitals and physicians and medical services are now available globally. For instance, there are a number of private hospitals that have U.S. or U.K. or equivalently trained and board certified physicians practicing in hospitals, which compete for international patients. Their outcomes rival U.S. hospitals. Additionally, more than 200 public and private healthcare organizations, in 33 countries around the world, are accredited by Joint Commission International (JCI), the international arm of the U.S. accreditor of hospitals. • No monthly network access fee or per-eligible-per-month cost to the plan sponsor or TPA. • A single in U.S. currency that the TPA or ASO can easily adjudicate. As the industry emerges, interest in global healthcare among American companies will continue to grow significantly. Keith Mendoza is the director of sales for Satori World Medical, a payor-supported, employer-sponsored, consumer choice global healthcare network. Mendoza has more than 17 years experience of healthcare industry experience primarily focused in the sales and service of medical and health and welfare benefits. During the last eight years, he held a key position as an Aetna Senior Sales Director for large commercial groups. In addition, Mendoza has served in a similar capacity with other large U.S. health plans and insurers in Southern California. He has a Bachelor of Science in Business Administration with an emphasis in financial services from San Diego State University. For more information about Satori World Medical, call 619-704-2000 or visit www.satoriworldmedical.com. Scores of Americans are traveling the globe for leisure, business, study, and missionary travel. As international travel marches on, travelers seem to be faced with an ever-increasing number of health and safety concerns. Travel concerns run the gamut from pandemics, such as the H1N1 virus, to terrorist threats like the Mumbai attacks. Given the heightened risk, smart travelers are planning and preparing more than ever to avoid potential hazards. Although health and safety concerns have contributed, strong growth is tied to greater consumer awareness. The simple fact is that existing health insurance plans are inadequate when taken across U.S. borders because they strictly limit overseas benefits. In addition, most health insurers will refuse to pay to get you to a higher standard of care if you need to be evacuated due to a medical emergency. Savvy travelers are aware of these limitations and they’re not leaving anything to chance. Travel medical insurance policies are designed to pick up where your primary health plan leaves off. If you do not have health coverage, these plans act as primary insurance while abroad. The best-designed plans offer more than emergency benefits. They cover big-ticket items, such hospitalization and surgeries, but will also pick up the tab on physician office visits, ambulance services, prescription medications, and more. The premier plans make it a point to cover sickness or injury due to a terrorist event or a pre-existing medical condition. Critically, some policies will pay medical providers overseas on a direct basis so you can avoid hassles and red tape. Comparing admitted to non-admitted policies is truly an apples and oranges comparison. They are built very differently with important implications for the policyholder. Your personal health and financial security could hang in the balance. 1. Consumer Protection – You are protected under U.S. insurance laws and oversight. U.S laws are strict and favor healthcare consumers. Policy language must be fair and meet the plain English definition. Policy wording, plan definitions, exclusions, claims turnaround times, formal appeals process etc. all must meet regulatory muster. 2. Global Provider Networks – What good is insurance if you can’t find a doctor you trust? The best plans give you access to the best providers. They set up providers to bill the insurance company directly. In addition, providers are selected based on their medical credentials, language proficiency and more. Always ask the insurer what their credentialing process entails. 3. Richer Benefits – Admitted benefits tend to be broader and deeper with fewer surprises at time of claim. The table below illustrates major differences between an admitted policy and a popular non-admitted policy. • Does it conform to U.S. health insurance laws? • Are pre-existing conditions covered to policy limit? • Is terrorism covered with no excluded countries? Enjoy peace of mind with a well-built travel medical plan. As with everything in life, it is a good idea to do your homework. Always ensure that you read the fine print rather than just scanning a benefit schedule. Ask your broker or insurance company to send you a sample policy so you can get a complete picture of what you’re buying. Brendan Sharkey is director of individual programs for HTH Worldwide in Radnor, Penn, and is frequently called upon to discuss the travel insurance landscape. His most recent contributions include Forbes Magazine, CNBC Morning Television, The Wall Street Journal, USA Today, Consumer Reports Magazine, the Los Angeles Times and the Washington Post, among others. Brendan has a great number of partnerships in the online travel, benefit platform and search engine arena including Yahoo and Frommer’s. An avid traveler, Brendan has lived in Scotland, Canada, and Australia and holds a Bachelor of Commerce (Marketing) from Griffith University in Australia. Contact bsharkey@hthworldwide.com. Traditionally, consumers have shied away from annuities in favor of alternative investment vehicles or products they are more familiar with, such as mutual funds and certificates-of-deposit. Just over a year ago, these popular investments were performing well and account balances looked good on paper. Since then, the financial markets have suffered some trauma and many people have noticed significant drops in their retirement portfolios, forcing them to make decisions about their retirement investing approach. Financial professionals have also been slow to warm to annuities; they are finding that their clients need to protect at least a portion of their retirement savings with guarantees that only an insurance product can provide. Guarantees are particularly important during market downturns and such guarantees cannot be found in today’s traditional investment vehicles. In a recent MetLife poll, consumers overwhelmingly responded that they are interested in products that provide protections against market risk. There are deep fissures in the retirement landscape due to the recession and losses in defined contribution plans, such as 401(k) plans, and in other savings and investment vehicles; not to mention the fact that the number of working people covered by traditional defined benefit (defined benefit) pension plans has shrunk to approximately 31% compared to 57% 20 years ago, according to a recent study by the Employee Benefit Research Institute. Today, Americans typically have no guaranteed source of retirement income, aside from their future Social Security benefits, meaning that the financial burden is on the client to generate enough income to last throughout retirement. Unfortunately, many discover, too late, that their bag of cash is not big enough to cover needs and wants throughout retirement. This is especially true after the recent market meltdown. However, there are ways for financial professionals to help consumers create their own version of a personal pension plan with income annuities. Today’s economic turmoil has shined a spotlight on the need to create a guaranteed steady stream of income in retirement. Annuities are beginning to gain some popularity among consumers and formerly skeptical financial professionals. Total fixed annuity sales have increased significantly; sales grew to $28.6 billion, which is an 11% increase from the second quarter of 2008. Year-to-date, sales totaled hit $64.2 billion, which is a 39% increase year-to-date, according to LIMRA. Additionally, 70% of retirees describe themselves as fiscally conservative in 2009 compared to 53% in 2008. Like traditional defined benefit pension plans, fixed income annuities are designed to provide guaranteed consistent payments that won’t change, even during market fluctuations. A primary goal of any solid retirement plan is to be able to pay for fixed monthly expenses with the most efficient, reliable income. Consumers must look at their annual fixed costs, such as food, housing, medical and insurance expenses, and assess how much money they may need. Then, they’ll need to take into account any regular income, such as Social Security. Any gap, which would have been filled by a defined benefit pension plan, can now be filled by an income annuity, so the consumer can take comfort knowing that their -monthly expenses are covered. But consumers should consider keeping some of their savings liquid for emergencies and they may also want to keep other assets invested for growth to combat inflation. Most people can’t sustain a comfortable living in retirement with only one or two investments in traditional product classes, such as mutual funds and money market accounts. The longevity risk of depleting investments without lifetime guarantees is too high. A financial professional may recommend a fixed income annuity to a client who needs income now. It could provide higher payouts than what the client would have been able to generate with traditional withdrawal strategies, thereby allowing them to stretch their money as far as possible. For example, a 65-year old man with $500,000 in savings and investments would get $20,000 annually before taxes, using what many experts believe to be a safe withdrawal rate of 4%. Suppose he allocates a portion to an income annuity ($165,000 or one-third in this example). Using current tables and assumptions, the annuity would produce guaranteed income of $11,900. • Leverage (higher income-to-asset ratio derived from mortality pooling). • Efficiency (relatively high level of income generated from an accumulated investment). • Guaranteed income for life. 1) Systematic withdraws from traditional investments. 2) Variable annuities with guaranteed living benefits. This combination can result in a higher level of retirement income than just relying on a traditional withdrawal approach. It also benefits from a higher level of guarantees. In essence, it becomes a repair -strategy for depleted portfolios, and therein increases the retiree’s peace of mind. Advisors can overcome many of the barriers to selling annuities by following the do-it-yourself personal pension approach. Consumers have shied away from annuities in favor of alternative investment vehicles or products they are more familiar with, such as mutual funds and CDs. But now is the time to take advantage of a growing need for protection and guarantees for retirement investment vehicles. By using the pension comparisons to help consumers view annuities as a familiar vehicle, advisors have an opportunity to rebut many common consumer objections and help bring clarity to a valuable but often misunderstood product. Most importantly, advisors can help consumers create invaluable guaranteed lifetime income in retirement at higher sustainable levels, salvaging the retirement dreams of many Americans. Holt McGee is the national annuity sales manager for MetLife for the MetLife and New England Financial agency system. His wholesaling organization covers the promotion of all variable, fixed, and immediate annuities. Holt has been with MetLife for eight years. Prior to that, he was with Hartford Life and Allmerica Financial. Holt graduated from Cornell University with BA in Economics. Later he achieved an MBA from Babson College with a focus on Finance and Entrepreneurship. Holt lives in South Florida with his wife Kelly and 5-year old son Connor. The current healthcare reform debates and the consideration of public healthcare options have focused primarily on the impact on medical care with little attention to changes that may occur with dental care. Americans have enjoyed high quality dental care during the past 50 years. Approximately two-thirds of employees participate in dental care benefits available through their employers. Dental care is available through private dentists, public clinics, and at dental colleges. Will the quality of dental care remain the same if the U.S. adopts a public health plan? What is the possible impact on dental? Although it is impossible to predict the future, it is helpful to review dental care in the United Kingdom — a country where public dental care has been available since 1948. Dental care in the U.K. is offered through a public health plan, called the National Health System (NHS), private pay, or personal dental insurance available through dental offices or employers. For cost reasons, the majority of Britons register for dental care through the NHS. • Lack of information on how to access dentists. • A complex cost system with 400 possible dental charges. • Dentists focused on “drilling and filling” and not on preventive care. According to BBC news, many Britons believed that dentists preferred to perform complex procedures, such as crowns and root canals, for which they received higher fees, since they were paid according to the treatment they provided. In 2006, the U.K. government made a massive investment in overhauling the NHS dental system. The goal was to make it possible for all Britons who wanted a dentist, to register for one in their community. Under NHS, people registered for dental services and were charged a specific amount for care. Those with lower income levels typically paid little or nothing for dental services. The government gave Primary Care Trusts (PCT) responsibility for overseeing dental care, including contracting with dentists to provide services in specific areas throughout the country. The government provided a minimal operating budget, expecting PCTs to use dental fees collected to pay dentists and run the organization. The government also reduced the 400 charge options for dental services to three bands of care, each assigned specific rates. Fees for some procedures combined costs from more than one band. U.K. dentists are self-employed. They contract with the NHS to provide care to residents in each community registered for dental services. Dentists are paid set amounts when meeting monthly quotas for services, instead of for care provided. The 2006 reform also restricted the amount dentists could charge for dental services. For example, if a patient needed dentist procedures within a two-month period for the same band of service, such as fillings for two different teeth, the patient only paid for one restoration. • In many areas of the county, thousands of residents remain on NHS waiting lists for a dentist. Patients have reported waiting several years to see a dentist because one was not available in their area. Recently when residents in Wales heard that a new NHS dentist was accepting NHS patients, 600 people lined up outside the door to register. • Frustrated by the waiting lists, some Britons travel long distances to a larger city in the U.K., or go outside the country to see a dentist. For others, it is easier to visit an urgent care center for painful dental needs than to find a regular dentist. In several areas of the country, NHS has opened emergency dental care centers because it cannot secure enough dentists to meet residents’ needs. • Some dentists limit the number of NHS patients they accept while others take only full-pay patients with certain types of dental needs. NHS dentists may also turn away patients after meeting the monthly requirements of their contract, telling them to return next month. There is usually a waiting list for NHS patients needing assistance the following month. • The British Dental Association (BDA) reports a significant decline in the number of dentists working for the NHS, in the past few years, because of the payment structure. The BDA believes the system also discourages dentists from working in some areas of the country where patients who do not have healthy teeth need more time for dental care, which reduces the number of patients the dentist can see each day. • Britons concerned about dental costs typically avoid expensive procedures, preferring to have a tooth extracted instead of having a crown put on. Since the 2006 reform, dental procedures for crowns and root canals have declined substantially, according to the BDA. • People with dental needs have reported taking painkillers until they can find a dentist or can find time to visit an emergency dental care center. • Britons have discovered that it costs the same for a routine visit and one filling as it does for a routine visit and five fillings. So many wait until they have cavities in several teeth before seeking dental care. According to BBC news, adult hospital visits for tooth abscesses have doubled since 2000 to about 1,500 each year. During the past nine years, the number of children going to the hospital for dental problems has increased 66%, with tooth extraction the most common procedure performed. Some PCTs have contacted retired dentists, especially specialists, to practice part-time to reduce the waiting-list crisis. Some British families have reported waiting nearly three years for orthodontic work for their kids. Many of the primary care trusts responsible for overseeing dental care practices, throughout the U.K., have minimal dental knowledge or experience, but are expected to make dental care decisions, reports the BDA. In December 2007, the London Assembly Health and Public Services Committee reported that 3.5% of adult Londoners had never visited a dentist (approximately 205,000 people) and 17% had not been to the dentist in the past two years — equivalent to one million residents. U.K. government officials, along with the BDA, are exploring ways to overhaul the system to improve the care and services available through the NHS. They have identified several needs: increasing the number of dentists, providing more preventive care services, restructuring the fees and services, and improving communications with Britons on preventive dental care, stressing the importance of regular tooth brushing and flossing, and maintaining healthy diets. Officials hope to introduce changes to the system in 2010. Most Americans understand that the U.S. dental care system is not perfect. There are delivery and education issues and not everyone has access to the quality of care or services they need. It is important to analyze reform options carefully to determine whether the proposed changes would result in the quality of dental care, access to services and treatments, and freedom of choice we need and expect. These questions deserve an investment of time to ensure plans are crafted thoughtfully and are in the best interests of all Americans. Karen M. Gustin, LLIF, is senior vice president – Group Marketing, Managed Care, and National Accounts for Ameritas Group, a division of Ameritas Life Insurance Corp. (a UNIFI Company), with headquarters in Lincoln, Neb. A provider of dental and eye care products and services, Ameritas Group added hearing care to its product portfolio in 2008. Gustin joined Ameritas Group in 1983. She is vice chair of the National Association of Dental Plans’ board of directors and its statistical task force, and also serves on NADP’s executive committee. Mark Reynolds, CEO and president of California based BEN-E-LECT covered some of biggest factors driving healthcare costs. Reynolds said that the consumer is the number one driver in increased healthcare costs. One factor is simply that the population is getting older. The number of Americans over 65 years is expected to nearly double by 2030, according to a report published by John W. Rowe, MD in 2008. Another major factor is lifestyle — Nearly one-third of Americans are clinically obese with a body mass index (BMI) of 30% or more. The number of obese Americans is an alarming 31% of the population. More than 63% of Americans are considered to be overweight with a BMI in excess of 25%. The National Center for Health statistics has been tracking America’s obesity. The U.S. Surgeon General recently released a report showing obesity as the cause for more than 300,000 deaths every year. Obesity leads to a legion of ills, from heart attacks and strokes, to gut cancer and diabetes. A number that is sure to grow is the annual cost for treating diabetes. Today, this number alone exceeds $200 billion. It doesn’t end there. Childhood obesity has more than tripled in the past two decades in the United States. Another factor in rising healthcare costs is lack of exercise. Many experts agree that lack of physical activity contributes to more than 300,000 deaths each year in the U.S. caused by heart disease, stroke, diabetes and other conditions. The fourth factor is smoking. The CDC reported that 43.4 million U.S. adults were current smokers in 2007. This is 19.8% of all adults. A 1982 Surgeon General’s report stated that “Cigarette smoking is the major single cause of cancer mortality (death) in the United States.” This statement is as true today as it was in 1982. Smoking cigarettes kills more Americans than alcohol, car accidents, suicide, AIDS, homicide, and illegal drugs combined. Staggering isn’t it? Unfortunately for this topic, the death related to smoking isn’t the issue. It is the cost of the healthcare leading up to that death. “Do you ever wonder what would happen to the cost of healthcare if we just stopped smoking and started exercising? Those two simple steps alone would be a driving force in lowering the cost of our healthcare,” he said. The fifth factor is defensive medicine. When it comes to defensive medicine, the issue is not malpractice awards, which drive up healthcare costs by 1% to 3% annually. That’s not a lot in the big picture. The real issue is the doctor’s reaction to a perceived threat of a career-ending malpractice award – to practice defensive medicine. One study by the University of Connecticut revealed that Massachusetts alone wasted $1.4 billion on defensive medicine in one year. More than 900 physicians in Massachusetts were asked about their use of seven tests and procedures: plain film X-rays, CT scans, magnetic resonance imaging, ultrasounds, laboratory testing, specialty referrals and consultations, and hospital admissions. Eighty-three percent of these 900 physicians reported practicing defensive medicine. The fear of being sued is driving physicians to defensive medicine and is dramatically increasing our healthcare costs, he noted. Politicians can be blamed for the sixth factor in rising healthcare costs. There are nearly 1,500 mandated benefits in the United States and each mandated benefit adds a little extra to the cost of healthcare. 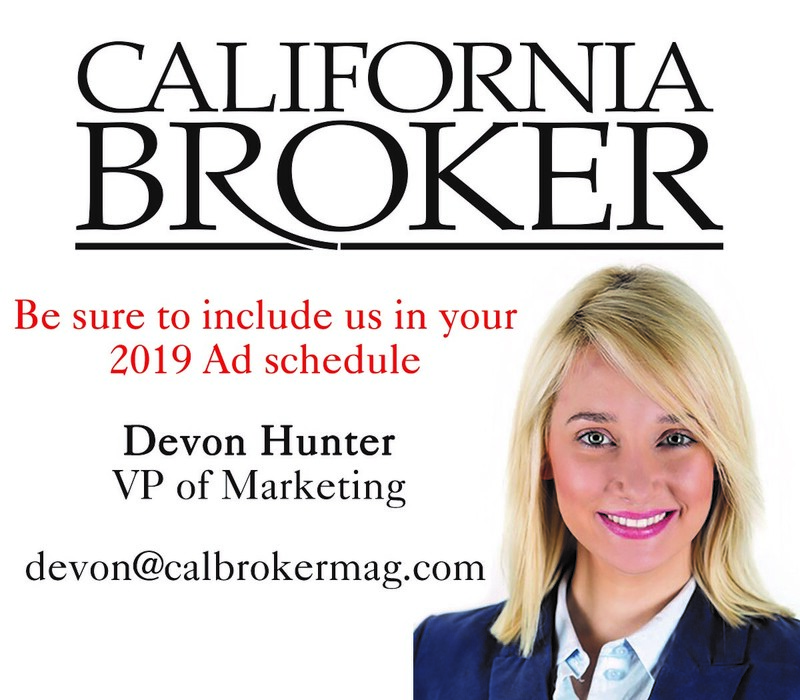 Numerous conferences and events, throughout Southern California, have kept the staff of California Broker Magazine hopping over the past couple of months. This month, we feature coverage of a sales-focused CAHU Show, A Norvax University Sales Event, and the Warner Sales Expo., featuring John Nelson, co-CEO of Warner Pacific interviewing former Democratic Senate leader Tom Daschle on what to expect with health reform. Look for the next issue for coverage of conferences on medical tourism, limited benefit plans, and wellness plans. Norvax University Advanced Sales and Marketing Conference in September in Woodland Hills focused on helping agents take advantage of technology to grow their business. Jeremiah Desmarais, vice president of marketing for Norvax described a new landscape for selling health insurance online. Agents who use the internet to marketing their products will reach a broader client base and expand their business, but because most clients value their relatioship with their agent, the internet should not threaten jobs, given the many individuals still prefer discussing their policies directly with agents rather than through a computer. To bridge the sales gap, agents need to get an online presence and get automated. He encouraged attendees to join the professional network site, Linkedin. Why join Linkedin? Your customers are there, your prospects are there and the connectors are there. He encouraged agents to think about whether their websites represent them well. Even something as simple as having an unflattering photo on your website can be a real detriment to sales. 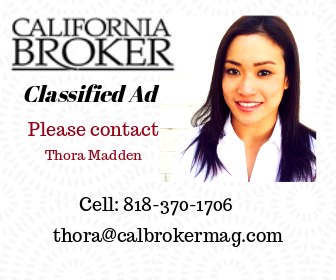 He cautioned agents against including recommendations or testimonials on their websites or brochures since FINRA regulations prohibit it. He also discussed how much more productive an agency can be with automated quoting and enrollment. • Leads must be actively searching. • Interest must be in real time. • They don’t oversell your leads. • They make tracking ROI easy. • They don’t make you eat the cost of bad leads. • They let you filter your leads. • They can show you where the leads come from. He also stressed the advantages of keeping up with prospects and clients through automated e-mails. When it comes to promoting your website, he suggests putting your web address out there with e-mail taglines, signs or stickers on your car, t-shirts and tradeshow presense. Rey Villar stressed the importance of marketing through social media, by using the RSS reader, participating in forums, joining Facebook and Linkedin, having a blog, being on Youtube, and having a presense in Squidoo, Meetup, Twitter, and Yahoo! Some good consumer forums are medhelp.org, ehealthforum.com, forum.freeadvice.com/insurance-76. Some professional forums are insurance-forums.net, and American Insurance Broker.com. Nelson: How often do you talk to President Obama and leaders of congress? Daschle: The President – several times a month. Congressional leaders – almost every day. Nelson: Of the 300 million Americans, 253 million have coverage and are pretty happy with it. Of the 47 million Americans who don’t have coverage, about one third of them already have access to coverage through a variety of public programs but for one reason or another aren’t signed up; another third are healthy and can afford the coverage, but choose not to buy it, leaving about 10 to 12 million Americans who want the coverage but can’t get it. In other words, 19 out of 20 Americans have coverage or access to it. So why not just spend a nominal amount of money and get the one out of 20 people insured? Daschle: Medical costs are out pacing regular inflation by about a 3:1 ratio. It is also clear that we’re not getting what we’re paying for. Healthcare outcomes for citizens of other countries are better than the United States. Yet, our per capita expenditure for healthcare is, by far, the highest of any other nation. This is unsustainable and something must be done. Democrats believe they were elected to resolve this and that’s what they’re trying to do. Nelson: What went wrong with the attempt to reform healthcare during the Clinton Administration? Daschle: By the time the Clinton healthcare bill was finally introduced, the aura that a new administration typically enjoys was long gone, worn down by other major legislation and administration actions. The newer an administration is, the easier it is to move legislation forward, especially if one party controls both houses in congress and is represented in the White House. When the Clinton administration did submit a bill, it was over 1400 pages long that had zero input/buy-in from Congress during the bill’s development. Additionally, there was no hearing or bill markup for six months which made it even more vulnerable. The delay gave a lot of people a chance to pick the bill apart. Eventually, the majority decided that the status quo was better and the bill fell apart under its own weight. Nelson: In your book Critical, which was published in 2008 (before the elections), you said that the key to passing reform (assuming that a democrat is elected president and that democrats control congress) is not to allow any major legislation to stand between the inauguration and healthcare reform, keep the bill simple (limit it to about 400 to 500 pages long), avoid at all cost any descriptions of benefits within the bill and, finally, that the president should sign the bill that he gets. The reality is that Congress had the stimulus bill, the House passed Cap and Trade, the Senate had the Sotomayor nomination, the August recess came and went and now there is a pending decision over Afghanistan. Also, there are multiple bills – one of which is almost two thousand pages in length. So how do you think things are going for healthcare reform this time around? Daschle: That would’ve been the ideal, but reforming healthcare is hard to do. It’s a $2.6 trillion a year business accounting for one sixth of the nation’s economy and effects almost every single stakeholder in our country, not to mention every single American. So everyone is coming at lawmakers to do it this way or do it that way. That’s why the prospect of healthcare reform happening is 60/40 and if it does get done, it probably won’t be signed into law until January or February. Nelson: What is the rationale for having a public option? How can an entity that prints money, makes the rules, and is the referee be deemed a fair competitor? Daschle: We need more competition in some markets. In my home state of South Dakota, one carrier has about a 70% market share. In Alabama, over 90% of the market is dominated by one carrier. The idea of a public option is very compelling to many because they believe that it would add competition to these and other markets and, thus, help drive down costs. Nelson: How likely is it for a government option to pass? Daschle: It’s not likely to be included in the final legislation in its present form but it may pass in the form of a trigger. Nelson: When would most of the provisions of a bill, if it passes, take effect? Nelson: Both the House and Senate bills have clauses that would eliminate pre-existing condition requirements, underwriting and impose rating and other restrictions on insurance carriers for individual coverage. On the other hand, both bills provide subsidies to purchase individual coverage for those who cannot afford it and a mandate to purchase coverage for those who can. The Senate bill’s penalties for not buying coverage appear to be light. Industry leaders fear that this could lead to an adverse selection scenario and, thus, higher costs. Why buy coverage when you’re healthy when all you need to do is pay a nominal fine and get coverage when you need it? Couldn’t we end up with the same problem that Washington State had in which the individual market dried up after they passed a similar bill? Daschle: I agree with you and believe that the penalties for not buying coverage will end up being much higher than those currently spelled out in the senate bill. Everyone must be covered by insurance. The status quo is unacceptable because those of us who are covered are paying for those who are not. Instead of visiting a primary care physician, the reality is that many of those who are uninsured seek their health care via hospital emergency rooms – a very expensive way to see a professional for a cold. These facilities, in turn, charge more to those who have coverage to make up for the uncompensated care they give to these folks. Nelson: Administration officials and members of Congress have had harsh words for the insurance industry. How seriously is the insurance industry being taken in the healthcare reform debate? Daschle: In spite of what the news reports say, health insurers definitely have a seat at the table in Washington. In fact, I commend the leadership of Kaiser, United Healthcare, Aetna, and the National Association of Health Underwriters. They are credible and their input is being taking constructively by many lawmakers. Nelson: It appears that neither of these bills do much to bend to cost curve. What about the fact that the bill would not affect major healthcare costs drivers? For example, a lot of money is going into the acute phase of care. New hospitals are costing almost a billion dollars each to build. Five chronic diseases eat up 70% of this country’s healthcare expenditures. Diabetes accounts for 35% of Medicare expenditures. And yet, neither of these bills appears to tackle these cost drivers. Nelson: Will health savings accounts survive healthcare reform? Daschle: Yes, they are an important part of the healthcare system. Nelson: What is the future for health insurance agents? Daschle: Congress understands the value of the agent and there is language that supports the role of the agent in both the House and Senate bills. The future is very bright for agents and we will need them more than ever! Here are seven significant ideas that can help meet the challenges and opportunities created by clients who are both cautious and optimistic for 2010. 1. The flexibility offered by UL/permanent life products has a strong appeal as more consumers recognize the value of cash, which makes the tax deferred feature of UL/permanent life insurance particularly attractive. If a policyholder needs money, it can be available tax-free (as long as it doesn’t exceed what has been paid on the policy) as a withdrawal or a loan. This is far more preferable than running balances on high-interest charge cards. The over-loan features on some policies provide additional flexibility. Even though the market delivered solid gains, investment vehicles, such as UL products, that offer a floor as well as a ceiling give skittish consumers a needed level of security. Permanent life products offer the flexibility that many are looking for today. 2. Survivorship life products are continuing to make an appearance after declining for several years. The proceeds of this type of life policy are given to the beneficiary upon the death of the surviving spouse, so there’s no question about it winding up in the hands of the tax collector. This is a simple and useful estate-planning tool. The cost is generally less than insuring two separate lives. 3. Closing long-term care sales, particularly individual policies, remains stubbornly difficult. Many consumers don’t purchase LTC coverage because of the cost. While LTC riders may not be the perfect solution, they generally accelerate the benefits of the life policy to help cover long-term care expenses. If the rider is not used, the full benefits of the life policy remain intact. 4. In 2009, the notices began arriving from insurance companies indicating that they were re-pricing certain guaranteed UL products or withdrawing them. The re-pricing appears to increase premiums from 3% to 12%, depending on the carrier and the policyholder’s age and health. Return-of-premium term products are following a similar pattern, along with the longer durations, generally 25-year and 30-year guaranteed premium term life. Some companies have left the 30-term market and others may certainly follow along. Premium increases began occurring in 2009 and it’s prudent to expect that trend to continue. These products are being affected by changes in long-term interest rate assumptions that threaten profitability, substantial increases in the cost of capital reserve requirements, and returns that are not meeting minimum objectives. 5. With corporate profits rebounding, companies will be looking for ways to reward valued employees for their loyalty. At the same time, the recent layoffs have spotlighted the issue of portability and will be an attractive feature for insurance buyers of many small- and medium-sized companies. As businesses emerge from recession pressures, they will be looking to regain financial stability. Without question, many will be seeking other than traditional sources after having been rather severely burned. Finally, companies will be seeking cost-effective solutions for rewarding and retaining key employees, such as defined benefit plans and for funding business continuity programs. Business owners and managers are consumers, too. And that’s why UL products can be so effective, whether providing cash growth, executive bonuses, financing needed projects or supplemental retirement savings. 6. Consumers are expecting all their advisors to be far more proactive. With changes in life insurance policies, the economy, and the life events of policyholders, annual policy reviews are an essential service of advisors. Like every other investment, life insurance policies require regular attention and maintenance and that includes a review meeting with their policyholders. Even relatively new life policies need regular scrutiny. Life underwriting is more liberal since we are living longer. Clients who bought policies just a few years may be able to purchase more coverage for less. The annual policy review is the opportunity to deliver this good news. Consumers are far more aware of policy performance, particularly for policies that have been in-force at least 15 years. If a policy isn’t performing on the assumptions of the original illustration, the review is the time to discuss options with a client. It’s an enormous opportunity to be of service to clients. 7. Consumers certainly have benefited from lower life insurance costs resulting from updated mortality tables; more appealing products; and marketing strategies such as table shaving. After several years of surprisingly low prices, the pendulum began to swing in the other direction in 2009 and the upward trend will most certainly continue in 2010. The change is mainly due to weakened investment returns, tighter margins, higher reinsurance costs, and the need for insurance companies to add to their reserves. This is a reflection of the economy following the recent recession. With a clear upward pricing trend, it’s incumbent on advisors to let clients know there is a cost attached to waiting. These conversations can certainly include policy reviews to make sure their existing life program continues to meet their objectives. If there is an overriding message in all this, it is that advisors are well positioned with products and strategies that fit the economic times and the expectations of clients. Kenneth A. Shapiro is the president of First American Insurance Underwriters, Inc., a Needham, MA-based national life brokerage firm specializing in serving high-end producers and working on complex cases. He can be contacted at 800-444-8715 or kshapiro@faiu.com. It’s enrollment season and the stakes are high for your customers. This is their best opportunity to educate employees about their benefits and to lay the foundation for employees to take advantage of these offerings to promote their health and well being throughout the year. It’s tempting for your clients to focus almost exclusively on the medical benefit since it’s where they’ve placed the biggest investment, but they could really be missing the boat if they don’t take the time to educate employees on the vision benefit as well. It’s a relatively simple benefit and that’s one of the things that makes it so appealing, but there’s more to the vision benefit than meets the eye. The benefit enrollment period is the perfect time for your customers to open employees’ eyes to the value in this small but mighty complement to their overall benefits package. Health insurance costs are the fastest growing expense for today’s employers. Over the past decade, employer-sponsored health premiums have jumped up 119%, according to a study by the Henry J. -Kaiser Family Foundation. Employee Health and total insurance costs for employers are projected to reach close to $850 billion by 2019, according to a 2009 report by the National Coalition on Health Care. It’s pretty obvious that a vision benefit can promote the eye health of employees, but it’s also a powerful weapon in managing their overall health and their healthcare expenses as well. That’s because comprehensive eye exams (that include dilation of the pupil) can provide early detection of costly medical conditions, such as diabetes, hypertension, neurological disorders, and even certain cancers. Also, many people don’t realize that these diseases and the medications they take for them can affect vision, so getting an eye exam and wearing the right vision wear is really important even when the diseases are in the early stages. If you’ve been following the two healthcare reform proposals laid out by the House and Senate, you know that both include a provision about essential benefit packages. If some form of the legislation passes, employers may have to include vision plans as a standard offering to their employees and they may need to cover a large percentage of the cost. If employers eventually have to integrate a vision plan into their benefit package anyway, providing it up front (before the hassle of meeting all the new mandate provisions) will reassure employees that their company has made a commitment to their eye health and their overall health without being forced to do so. It’s pretty obvious that employees need to see well to work well. But employers may be surprised to hear that miscorrected vision can reduce an employee’s productivity up to 20% even when it’s so slight that it’s not even noticed. Imagine the impact on the performance of a worker who is putting off getting a new pair of glasses because she wants to avoid the cost of an eye exam and new lenses and frames. Plus, consider that up to 90% of workers, who use a computer regularly, develop symptoms of Computer Vision Syndrome, according to a 2009 report by the American Optometric Association (AOA). Computer Vision Syndrome can include eyestrain and fatigue, headaches and blurred vision. Fortunately, certain eyewear products can help alleviate these effects. Keep in mind that full-blown vision problems, such as cataracts or glaucoma, can lead to higher absenteeism and lower productivity. This presenteeism can result in productivity losses that are 30 times greater than just absenteeism alone, according to The Vision Council. Many employers and employees assume that a vision plan just covers basic eyeglasses and contact lenses, but today’s lens options are much broader; they‘re designed to address employees’ lifestyle and eye health needs. Many vision plans are now covering these products or providing deep discounts. For example, photochromic lenses, like Transitions lenses, offer anti-reflective coatings, which can minimize glare and reflections, helping reduce eyestrain and fatigue. They also battle light sensitivity frequently caused by common medications and systemic diseases like diabetes. These products can also get rid of reflections from office lighting. When used outdoors, photochromics also block ultraviolet (UV) rays, which can contribute to cataract and macular degeneration. These lenses are also available in impact-resistant lens materials, which can help employees avoid eye injuries on the job on during high-impact activities. The number of workers aged 45 to 54 will increase by more than 20% by 2010 and the number of workers aged 55 to 65 will more than double, according to a 2005 Conference Board Report. It is especially important for this population to have eye exams and vision wear to protect their eyes from UV since several eye diseases become more common with age. Plus, studies have shown that workers over 60 need more light in order to see optimally, so lens options that reduce reflections and glare might be particularly helpful. One last thing to keep in mind is that older employees may have renewed interested in ancillary benefits, such as vision, since Medicare may subsidize some medical benefits. Parents will appreciate a vision benefit that supplements the health and well being of their families, but only if they know why it’s so critical to their kids’ health. During benefit enrollment, your clients can emphasize that proper vision is a key component to children’s learning. One in four U.S. children suffer from undiagnosed vision problems, according to a 2006 report by The Vision Council. Aside from allowing an eye doctor to provide children with a proper lens correction, eye exams help detect eye conditions, such as strabismus (crossed eyes) and lazy eye, which can be treated successfully, without surgery, if caught early. On the vision wear side, kids spend more time outdoors than adults and are much more susceptible to eye damage from the sun. They need eyewear that blocks UV and glare and has impact resistance to protect their eyes from trauma. Many plans recognize the unique eye health needs of kids and have special coverage options for them. Your customers should make sure employees are aware of these aspects of their benefits. Women make up nearly half of the U.S. workforce, making their unique healthcare needs even more important for employers to address. Many of your employer customers may not know that women are more likely than men to suffer from eye-related diseases and certain conditions that can affect the eyes, including autoimmune diseases like multiple sclerosis and rheumatoid arthritis. According to a recent survey by Transitions Optical, they are also more likely than men to experience trouble seeing at night, eyestrain, light sensitivity, and dry eye. Pregnancy can also contribute to temporary and long-term eye problems. The appropriate eye care and eyewear can address all of these factors. Similarly, several minority groups are growing quickly, so understanding and helping them understand their unique eye health needs is important to ensure they are taking care of themselves so they can do their best on the job. Employees of several ethnic backgrounds, such as Hispanics and African-Americans, are more susceptible to serious vision problems or diseases, such as diabetes, that can affect visual health. It is especially important for these employees to get regular eye care and protect their eyes from damaging factors, such as ultraviolet light. Unfortunately, they are less likely to seek and receive the vision care they need, which is where employer education on your part can make a difference. Despite all of the reasons why comprehensive vision plans are important for employee health, productivity and satisfaction, employers aren’t that aware of them, so they tend to spend little time discussing vision with employees. This disconnect is unfortunate because consumers aren’t aware of the importance of eye health or how they can use their vision plan to protect the health of their eyes. Only 7% of people know that the sun can damage their eyes, according to a national survey by Transitions. Therefore, it comes as no surprise that one in five people has never visited an eye doctor and fewer than half request eyeglass lenses that provide UV protection. Despite this general lack of awareness and action, eight out of 10 consumers say a vision plan is important to them although only six out of 10 need vision correction, according to a 2009 survey by Jobson Research. Also, most HR professionals agree that their employees would be interested in learning about the importance of regular eye exams to promote eye health and about eight out of 10 think their employees would like to learn more about lens technologies, according to an HR.com Survey of HR professionals. Armed with this knowledge, challenge yourself to make a difference by weaving vision into your healthcare discussions with your clients. Once you’ve helped them understand the value in their vision plan, help them get the word out to their employees with resources like educational newsletters, fact sheets, and Websites, which are some of their preferred methods. Be sure to use this approach to promote vision during your client’s annual enrollment periods and throughout the year to demonstrate your commitment to helping them improve their bottom line while also helping their employees feel and perform their best. Tracy L. Dieterich, CRPS is senior vice president of Employee Benefits at Wells Fargo Insurance Services. In this role, he helps employers throughout the southwest region design and manage their insurance programs. Personally affected by the impact of vision loss (his mother has age-related macular degeneration), he uses educational resources to promote the importance of vision benefits for today’s workforce, such as the broker white paper “Communicating the Value of Vision to Employers,” which is available for download at HealthySightWorkingForYou.com. Dieterich is also a member of the board of directors for Prevent Blindness Texas. He can be reached at tracy_dieterich@wellsfargois.com. Astunning 89.5% of universal life policies never result in death claims, aaccording to a study by Millman & Robertson. Many of those policies belonged to people who let them lapse because they could no longer afford to pay the premium or the policy served very little or no purpose anymore. In 2002, life insurance policy owners received close to $336 million in life settlement out of an estimated 1.5 billion dollars face coverage amount with collective cash surrender value of only $93.4 million, according to a 2003 Report by the Wharton School of University of Pennsylvania. That is $242.6 million dollars in excess value that would have been forfeited to the insurance companies. A life insurance policy is considered personal property, like a car, stocks, or bonds. Therefore, it can be bought and sold in accordance with applicable laws. Surrendering a life policy to the insurance company is always an option. But settling the policy in the secondary market allows the policy owner to choose among a number of buyers so that the policy is sold for its fair market value, rather than being underpaid by the insurance company. How limited would a homeowner’s options be if they could only sell the house to the original seller? A life settlement is the sale of an unneeded or unwanted life insurance policy for a cash payment, which is greater than the policy’s surrender value, but less than the policy’s death benefit. Life settlements typically cater to people over 65. For a term life policy owner (notably a convertible term life), a life settlement provides immediate cash and liquidity that otherwise would only be available to the beneficiary after the insured’s death. For a whole life, universal life, or variable universal life policy owner, a life settlement pays the fair market value of the policy that is much more than the surrender value, more often than not. Factors involved in the amount of settlement are the insured’s age and life expectancy, the policy cash value (if non-term), and the required premium payments to keep the policy enforced minus any outstanding loans against the policy. Once sold, all rights and obligations of the policy are transferred to a third party as required by applicable laws. Premium payments become the new policy owner’s responsibility. Upon the insured’s death, benefits are payable to the new owner. Life settlement laws and regulations have been developed since 1992 by The National Association of Insurance Commissioners. Since then, many states have adopted comprehensive insurance rules for life settlements and settlement providers, providing regulatory protection for policyholders. Due to its positive financial impact, financial planners have a responsibility to explore, explain, and unlock the financial benefits of life settlement to clients and prospects, when applicable. In fact, banks and trust companies believe, when evaluating trust’s assets, there is a potential liability if they do not make life settlement options available to their clients. Most recently, The Insurance Marketplace Standard Association (IMSA) adopted suitability rules that clearly apply to recommending life settlement over policy surrender as a better option to cash in on unneeded or unwanted life insurance policies. In reviewing clients’ portfolio, we should pay close attention to their present situation to determine whether the need for life insurance has become less important or non-existent; in which case life settlement is the solution that the client could need instead of the life insurance. Take the following examples: Your client is experiencing a decline in health due to a medical condition. He sells his policy for less or settles the policy for more to pay for his medical expenses and his grown children are no longer financially dependent on him. Continuing to maintain a poorly performing life insurance policy may not make as much sense as using its liquidity to help fund a long-term care plan. In this way, the life insurance policy can become a real asset. Once suitability is determined, the proceeds from settlement can be used for living benefits, such as a long-term care, an immediate income annuity, or any other financial products. If the client is insurable, but over-insured, life settlement could be a perfect vehicle to fully pay for a life insurance with a lesser-needed face amount. • The policy was purchased to protect the insured’s family, but children are all grown and well on their own so the family protection is no longer an issue. • The policy was purchased for estate and tax planning purpose, but the policy owner has very little or no estate tax exposure, due to increasing estate tax credits or exemptions, sold or depreciated properties, charitable gifts and donations, or poor investment performance resulting in declining liquid assets, just to name a few. • The policy owner can no longer afford the premium and is forced to let the policy lapse or surrender. • The insured’s medical condition is chipping away at their savings. Consequently, there is more concern about sparing or improving the insured’s life than leaving money for the beneficiary. • The policy was purchased to finance a cross purchase or buy/sell agreement between business partners. But, the business partnership has changed, the underlying business has been sold or dissolved, or the company has gone into bankruptcy. • A business purchased a key person life insurance policy, but the executive has retired, is no longer employed by the company, or has been forced to resign due to a medical condition. Even though institutions have poured billions of dollars into life settlements and the potential market has greatly expanded, the life settlement market is still in its infancy. Several institutions have been watching their peers and evaluating the right time to enter the market. This will create greater efficiency and competition. As a result, the life settlement industry will be able to provide service to eligible policyholders more efficiently. Considering the zero cost of applying for life settlement valuation, the enormous benefits to qualified policyholders are thought provoking, not to mention the untapped rewards to financial planners in exchange for invaluable services they can offer to their clients. Shane Dez is a Certified Estate Advisor and the president/ CEO of Shane Dez & Associates, a network of benefits & financial planning serving Individuals and Small Businesses in Orange County since 1983. He has helped hundreds of clients with comprehensive financial, tax and estate planning using insurance products. For more information, call 949-250-8999 or e-mail shanedez@shanedez.com.